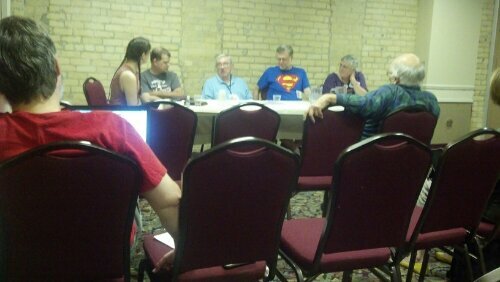 Dreaming for Others at Diversicon. Everyone carries a box full of dreams into Diversicon. They come together in conference rooms and around tables with stories in various stages of perfection. Some of the writers are published with a table of titles to prove it, and some are just beginning to put words onto their laptops. Each and every one of them has the dream living in their brains, and we all come to Diversicon to share the stories. 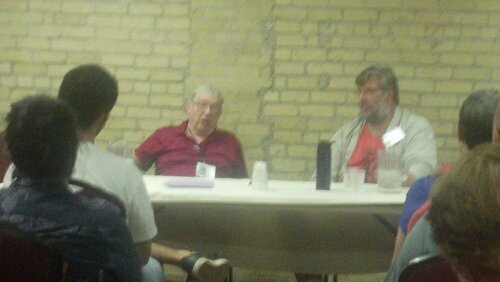 Guest of Honor Jack McDevitt set the tone in his Q and A session and on a panel exploring researching fiction writing. McDevitt stressed avoiding cliched fistfights and over-description when they clog a story. He reminded his audiences that any alarm bells disrupting the reader from living in your dream are the enemy, and they must be destroyed. This theme extended to the other special guests. 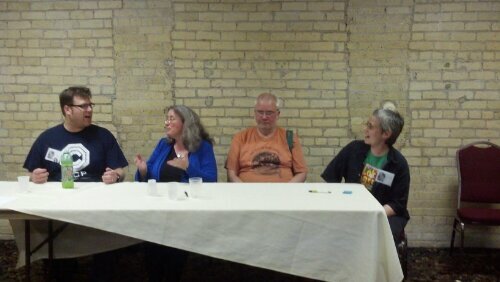 Roy C. Booth, my HooseCows collaborator, put together a panel with three of his collaborators, including me. Booth stressed the constant struggle to both preserve the author’s voice and flawlessly edit the manuscript toward perfection. In her panel on upcoming authors struggling to make connections with readers, Catherine Lundoff directly addressed the many obstacles between a writer’s dream and the reader. And yet, everyone at Diversicon dreams their dreams. I think we all got together this weekend to feed our stories. The dreams matter. The fiction sorts out the muddled non-fiction section of our everyday lives. After this weekend, I’ve improved my tactics and strategies for getting my dark dreams published, infecting nightmares all over the world. It’s a blessed chore, after all.